This Place of Worship was founded in 1876, though it is now closed, but we don't yet know when, and the premises are now in secular use. According to the Victoria County History series: A History of the County of Gloucester, Volume 11: Bisley and Longtree Hundreds (1976), pp.140-141 (Stroud - Nonconformity), this Unitarian Chapel was opened in 1876, and for some years after 1894, a Baptist group met in the building, which was "later used successively as a cinema and as the headquarters of the Liberal association (and) in 1971 housed a school of dancing". 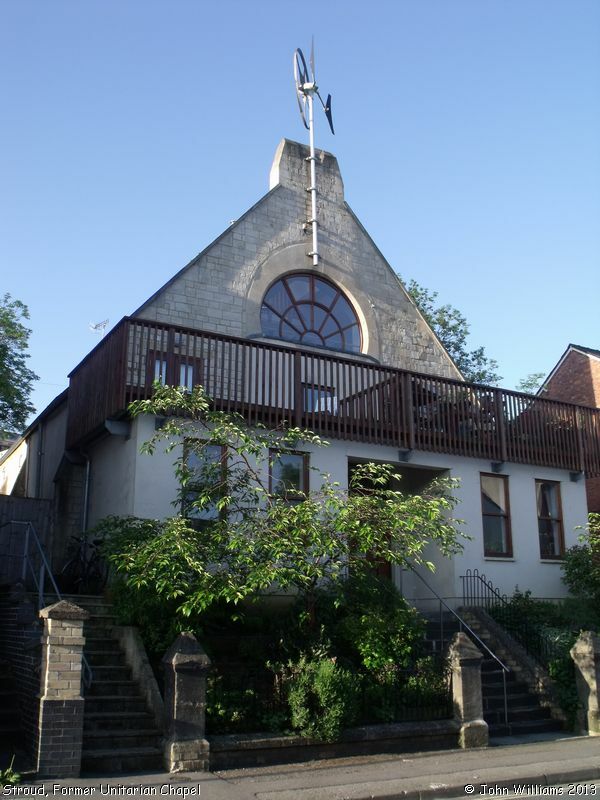 It has since been converted into flats, the building having its own wind turbine, said by the company in charge of its redevelopment - Stroud Eco-Renovation Open Homes - to provide 40%-50% of residents' power needs. Note: early Maps showing the Chapel label "Landsdown" as "Landsdown Road", so "Road" must have been dropped from the name at a later date. Stroud Unitarian Chapel, Stroud shown on a Google Map. Information last updated on 20 Nov 2018 at 13:35. 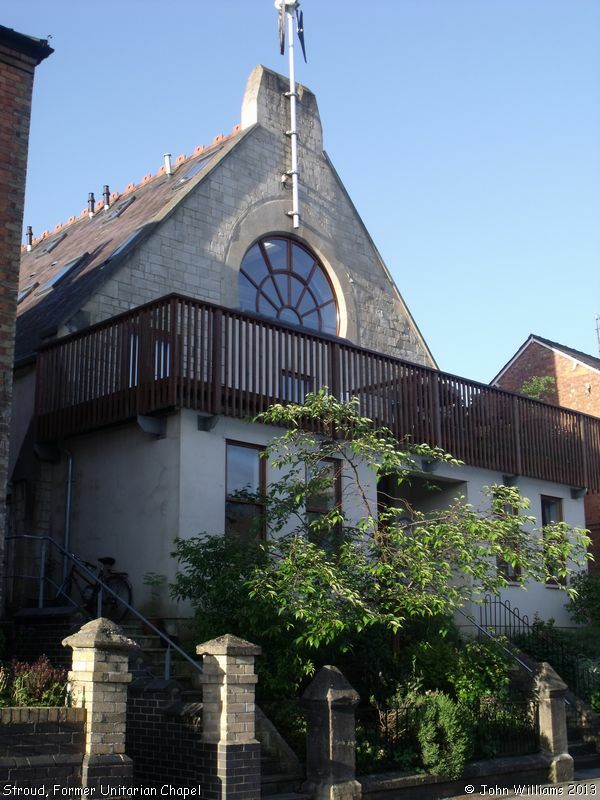 Please also remember that the former Stroud Unitarian Chapel is understood to be in secular use, so care should be taken to preserve the privacy of its occupants. This Report was created 26 Mar 2019 - 19:11:48 GMT from information held in the Gloucestershire section of the Places of Worship Database. This was last updated on 7 Feb 2019 at 07:45.